One of my birthday presents this year was Anne Rice’s latest Vampire Chronicle, Blood Communion. By my count this is her thirteenth vampire novel if we count both the official “Vampire Chronicles” and “The New Tales of the Vampires.” This is one of the few series I’ve made a point of keeping up with over the years. The first two books in the series, Interview with the Vampire and The Vampire Lestat were recommended to me by one of my co-workers at Kitt Peak National Observatory circa 1994. My co-worker used to refer to those of us who worked at night as the “vampires of the mountain” because you rarely saw us before sunset and after sunrise. I bought a boxed set of the first four novels and read them straight through, a little before Neil Jordan’s film of Interview with the Vampire was released. Blood Communion is told in the voice of Lestat, who is now prince of the vampires living in his restored estate in France. In many ways, this is the tale of Lestat settling into his role as leader of the vampires. The biggest threat to that rule is an ancient vampire named Rhoshamandes who has shown himself to be a real danger in previous volumes of the series and now intimates violence against vampires and their allies he believes have done him wrong. Lestat wants to believe the best in Rhoshamandes, but must take action when the ancient vampire ups the ante. The problem is that it’s not altogether clear whether or not this is a battle Lestat can win. Blood Communion is a thin volume in terms of page count. The hardcover is only 256 pages. Despite that, it addresses one of the more difficult subjects today, bullying and unchecked anger that turns into violence against one’s coworkers and friends. Without spoiling the novel’s plot, I think it’s fair to say that Rice’s answer is that such behavior can’t be allowed to continue unchallenged. On a lighter note, I enjoyed spending more time with other fictional friends from previous volumes such as Louis, Gabrielle, Marius, and Pandora. Also, the hardcover featured lovely illustrations by Mark Edward Geyer. One interesting moment in the novel came when Lestat is presented with a Medusa ring. I don’t remember Medusa playing a role in the Vampire Chronicles before this. The ring’s significance isn’t really explained and I’d be interested to know more about its significance to Rice’s vampires. In my own novel, Dragon’s Fall: Rise of the Scarlet Order, the vampire Theron is fascinated by stories of Medusa. In particular he sees stories of her turning people to stone as being akin to his ability to subdue prey with the power of his mind. Also, he’s captivated by versions of the Medusa legend that portray her as so beautiful she made Athena jealous and it was Athena who turned her monstrous. Interview with the Vampire was one of the novels that cultivated my interest in New Orleans. When my daughter went to Tulane University to study, it gave me an opportunity to know New Orleans and the state of Louisiana. While most of Blood Communion is set in France, I enjoyed the brief foray, Lestat took to visit a vampire in Louisiana. Speaking of New Orleans, if you like the little Nosferatu next to the novel in the photo above, you can order them from Boutique du Vampyre in the French Quarter. Clicking the shop’s name will take you directly to the page. While you’re visiting the Boutique, you can also pick up a signed copy of Dragon’s Fall: Rise of the Scarlet Order as a gift for this holiday season. Clicking the book title will take you right there. In my last post, I shared some of my adventures traveling around the country this month. Admittedly, a travelogue may seem a little out of place for a post appearing just two days before Halloween, but I’ll share a book at the end to put you in the spirit of the season and it’s even a quick read. I left Kansas City on the train on Sunday night, October 14. By the time I woke up on Monday morning, the ground was covered in snow. I like traveling by train when I can. It’s a great way to see the countryside and although it takes longer than traveling by plane, it feels much more civilized. I enjoy flying, but the hassle of crowds, airport security, and flights filled to the brim take away much of the fun. Besides, my grandfather, dad, and brother all worked on the railroad, so I feel a certain family connection when I travel by rail. I met my wife in Albuquerque where she brought my faithful Smart Car in for a service. We then drove down to Las Cruces with a brief stop in Socorro for some chicken mole enchiladas. For me, chocolate and chile come together to form the ultimate comfort food. After a four-hour sleep, I then drove to Tucson for a daytime shift at Kitt Peak where we’re continuing to refit the Mayall 4-meter for the Dark Energy Spectroscopic Survey. After three days on the mountain, I gritted my teeth for another short sleep, got up early in the morning to drive to the airport where I caught a plane for Denver, Colorado. There, I celebrated MileHiCon 50. The highlight of the event was that every living convention guest was invited back as a guest. Here you see them assembled at opening ceremonies. MileHiCon is always a special for me because I get to connect with so many people I’ve worked with over the years. These include Bob Vardeman who was one of the honored guests and who created the Empires of Steam and Rust Series, David B. Riley one of the co-authors of Legends of the Dragon Cowboys, J Alan Erwine and Carol Hightshoe who have edited many anthologies I’ve been in and who appeared in A Kepler’s Dozen. Denver is also home to Laura Givens, the talented artist who has done many of my covers, and also the co-author of Legends of the Dragon Cowboys. A particular high point of MileHiCon was the annual poetry reading. This year it was moderated by Stace Johnson. Ronnie Seagren joined us and read poems by several different people. Sadly, Gail Barton, a staple of past MileHiCon poetry readings had passed away, but I was fortunate enough to have a copy of the poetry journal she often handed out at the event, which allowed me to share some of her poems. It was lovely to have her voice at the event at least one more time. Once MileHiCon was finished, I returned to Kitt Peak to continue work on the DESI spectrograph. This time, I helped a team from Ohio State University build the racks that will hold the spectrographs themselves once they all arrive. I have to admit, building the racks was a process not unlike assembling a piece of Ikea furniture! At last, I am back home for Halloween. I’m turning my attention to some editorial projects, including a new novella from David B. Riley and two great books from Greg Ballan. In my off hours, I’m reading some spooky comic books and watching a few hair-raising films. Today finds me in Denver, Colorado at MileHiCon 50! If you’re in town, I hope you’ll drop by. You can get more information about the event at: http://www.milehicon.org. As we approach Halloween, I find myself looking back at how I developed an interest in vampire fiction. I think the first vampires I encountered were the Scooby-Doo episodes “A Gaggle of Galloping Ghosts” and “Vampire Bats and Scaredy Cats.” At the risk of spoilers, we find that both vampires are really criminals engaged in a scam. Somewhat scarier to me was the 1979 version of Dracula starring Frank Langella. That opened up an interest in Bram Stoker’s novel, which I remember starting, but not finishing at the time because I was 12 and easily distracted. It was another 1979 film that really got me thinking about vampires and that was Werner Herzog’s Nosferatu, which I saw in 1984. The film’s atmospheric quality and Klaus Kinski’s genuinely creepy portrayal of Dracula set a standard for me. Even so, I didn’t really get captivated by vampires until I started working at Kitt Peak National Observatory in 1992. At the time, the observatory had both solar astronomers working at the McMath Solar Telescope (as it was known then) and “stellar” astronomers working at night on the other telescopes. Those of us who worked at night jokingly referred to ourselves as the vampires of the observatory because we weren’t seen before sunset and went to bed before sunrise. As it turns out, one of my co-workers at the time was a fan of vampire fiction. She encouraged me to finally read Dracula from start to finish. I read much of it during a stormy night on the mountain. Periodically I had to go check conditions outside and I kept imagining that predatory eyes were upon me. This really hooked me on vampire fiction. Soon after this, she encouraged me to read Anne Rice’s Interview with the Vampire. From there, I dove right into The Vampire Lestat and Queen of the Damned. Even so, I didn’t really think about writing my own vampire fiction until nearly a decade later. In 1995, I had moved to Las Cruces, New Mexico and soon got involved with the Border Book Festival. I hosted a panel in 2000 and afterward, my friend Janni Lee Simner asked, “What do you suppose a vampire would make of Las Cruces, the city of crosses?” She followed that with a comment by telling me if it sparked a story idea, I was welcome to it. A few days later, while driving to Apache Point Observatory, I had an idea for a story about a vampire astronomer who moved to Las Cruces. That story became “Vampire in the City of Crosses” and I sold it a few weeks later to the magazine The Vampire’s Crypt. The story and those that followed suggested that the vampire was on a quest. His quest led him to discover the vampire mercenaries who called themselves the Scarlet Order. Those stories all came together to become the novel Vampires of the Scarlet Order. Once I got that far, I wanted to explore how the vampires decided to fight for human kings and that led me to the prequel, Dragon’s Fall: Rise of the Scarlet Order. As mercenaries who fight for human causes, my vampires aren’t the kind to sit around and brood about their immortal existence, seduce mortal girls a fraction of their age, or sparkle in the sunlight. In short, I’ve enjoyed spending time with them these last seventeen years. They make great companions in the Halloween season. If you’re looking for a good read this time of year, learn more about the books at http://www.davidleesummers.com/books.html#scarlet_order. 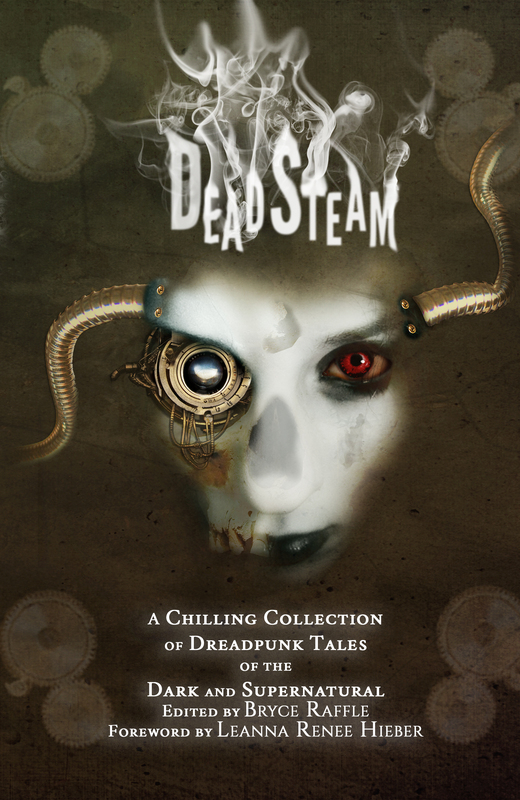 Two weeks from today, on October 1, Grimmer and Grimmer Books will release its dreadpunk anthology DeadSteam. The term dreadpunk refers to Gothic inspired horror and fantasy, often with something of a steampunk flavor. The TV series Penny Dreadful was a good example. As for the book itself? Reader beware: to open this tome is to invite dread into your heart. Every page you turn will bring you closer to something wicked. And when the dead begin to rise from the steaming pits of hell, only then will you discover that it is already too late. Your life is forfeit. But know this … it is all inevitable. I’m excited that my story, “A Specter in the Light,” is part of this anthology. The story was first published in the anthology Six-Guns Straight to Hell, which has been out of print for five years now. So if you missed the story in its first incarnation, be sure to catch it in this new volume. It’s a truly chilling tale of mining engineers using a Tesla coil to bring light to a mine, only to reveal an ancient horror. I think this will make a great book for getting into the Halloween spirit. What’s more, you don’t have to wait to order. It can be preordered from major retailer’s right now. If you’re a book collector and prefer your books in hardcover, they can accommodate that as well! Drop over to https://deadsteam.wordpress.com/pre-order/ and order your copy today so you can have your copy right at the beginning of October. While you’re at the site, be sure to visit the blog links and read interviews with the authors, including yours truly! 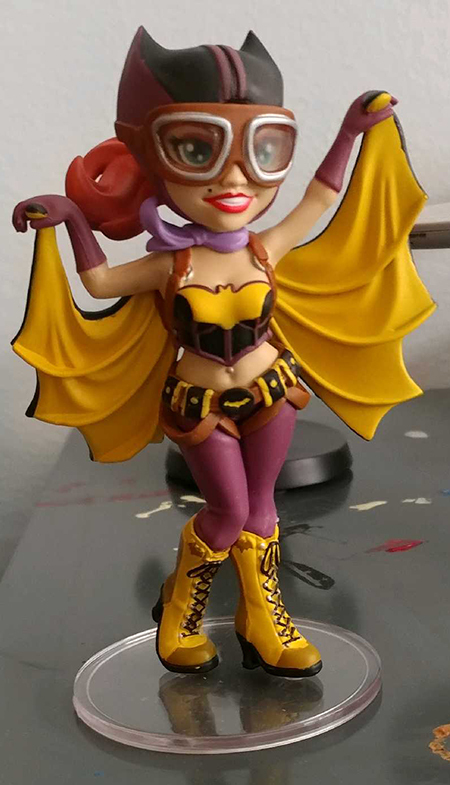 While visiting Bisbee, Arizona a couple of weeks ago, I found a fun figurine of Batgirl with something of a steampunk makeover in a boutique called Va Voom! I walked around the shop two or three times and finally decided she had to come home with me. I also decided I had to know whether she had a formal appearance in the comics. As it turns out, she did. She was the star of DC’s Bombshells Annual #1. For those not familiar with DC’s Bombshells, the comic was set during an alternate World War II and imagines that many of the DC Universe’s female superheroes have gathered together to fight for the Allied cause. Among the Bombshells are familiar heroines such as Wonder Woman and Supergirl. Batwoman, who I remember discovering in reprints of vintage Batman comics, also takes a major role here. The team is spearheaded by Amanda Waller, who readers of Suicide Squad are sure to recognize. I’m sad to say the comic has ceased publication, but the last three years are widely available in collected graphic novels both in print and ebook editions. The Batgirl story in this world actually opens in the swamps of Louisiana during 1941. Killer Croc has gone in search of the Batgirl of the swamps and he succeeds. What’s more, he discovers she’s a vampire! The action moves to West Point in 1941 where Amanda Waller is talking to a new recruit named Francine Charles. Waller sends Charles on a mission to recruit Batgirl to the Bombshells. When she asks why, Waller tells her Batgirl’s story. We learn that Barbara Gourdon was a French girl living during World War I who loved tinkering with machinery. Her mother has fields of lavender and her father is a police officer. He buys her an airplane and she learns to fly. She ultimately falls in love, but disappears when she must save her lover. It’s up to Francine Charles to learn how the ace pilot became a vampire and to see if that vampire can be recruited to the Bombshells. At the beginning of the summer, I talked about “superhero fatigue.” In that case, I spoke primarily of finding nothing but superhero movies at the cinema. One place I rarely suffer superhero fatigue is in my local comic shop. There are many fun and innovative titles on the shelves and I see the superheroes I grew up with being taken in new and interesting directions. Superhero fatigue in the movies has much to do with the fact that we’re seeing stuff that happened 20 years ago or more in the comic pages! I love the idea of a feminist superhero team like the Bombshells. After reading Annual #1, I picked up the entire first year of collected stories and was impressed by the writing and the artwork. I love the exploration of characters who received too little page time back when I read comics more regularly many years ago. In the Batgirl comic in particular, I liked how they gave her a lavender bat costume like she had in the Adam West series, but also created a good reason for her to have that costume. A few weeks ago, I discovered a vampire film from the 1930s that I had never encountered before. 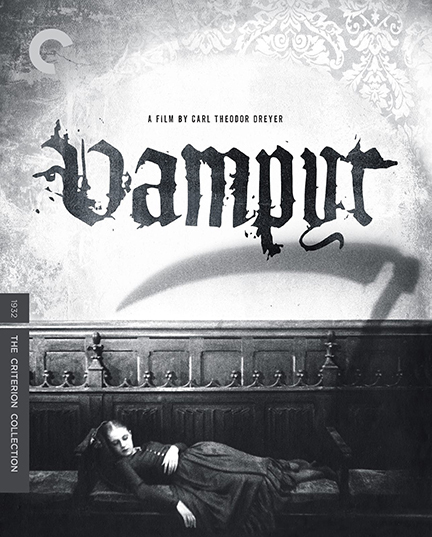 Directed by Carl Theodor Dreyer, the movie Vampyr was filmed about the same time as Universal’s Dracula but was released about a year later. The film features an original script with elements inspired by Sheridan Le Fanu’s stories “Carmilla” and “The Room in the Dragon Volant” which appeared in the collection In a Glass Darkly. Unlike other vampire films of the period, this doesn’t involve sinister castles in Eastern Europe. Instead, at its heart, the film feels a lot like some of Hammer Studio’s better vampire films from the 1960s. We meet a fellow named Allan Gray, ostensibly on a fishing trip in the French countryside, who stops at an inn. We learn at the beginning that Gray is interested in the occult and soon strange things happen. A man visits his room on his first night and leaves him a package, with the instructions that the package should not be opened unless the man dies. Gray then takes the package and follows ghostly shadows to a neighboring mill. A shadow of a rifleman seems to guide him to a point where the shadow then joins the corporeal rifleman who has been sitting in one place the whole time. Gray ultimately leaves the mill and goes to a nearby manor house. Right as he arrives, the Lord of the manner drops over, as though dead. It appears that he’s killed by a gunshot from the shadowy rifleman, but that’s not all clear. He may easily have had a heart attack or a stroke or been harmed by some other supernatural force. At this point, the film takes on a more familiar vampire narrative flow, at least for a while. We learn that the lord’s older daughter, Léon has been preyed upon by a local vampire and she cannot be allowed to die, or she will turn into a vampire too. The lord’s younger daughter, Gisèle is also under threat of becoming a vampire. When the lord does succumb to the gunshot, or other injury, Gray discovers that his parcel is a book about vampires and how to deal with them. He teams up with the servants of the house to hunt the vampire. Like Dracula, Vampyr is an early sound picture. The movie works to keep dialogue at a minimum and gives us a lot of information on narrative intertitle cards and on the pages of the vampire book. The movie also relies a lot on visual imagery to tell the story. I’ve already mentioned a little about shadows that become detached from their owners, but there are other odd elements, such as skulls that turn to face the room’s occupants and hints that we’re seeing what characters perceive rather than what they literally see. At one point, Allan himself seems to split into two spiritual forms. One form is left behind. The other form returns to the mill and finds both where the younger daughter is locked up and his own dead body in a coffin. He then becomes the dead body who is transported from the mill to the graveyard whereupon his spiritual selves reunite. As a fan of vampire literature, one thing I love about this film is how it associates the vampires with ghosts and phantoms. The only other film I’ve seen that used is Nosferatu and even there, it’s only hinted at. I also liked the fact that the film’s “Master Vampire” appeared as an elderly woman who has men in her thrall. One of those men may also be a vampire, though it’s never entirely clear. I also love the experimental nature of this film. On Monday, I talked a little about “superhero fatigue” and really that’s a subset of seeing the same things over and over again in film. It’s nice to see a film dare to experiment with images and trust the audience to interpret what it’s seeing. And that’s what makes this film special. I’ve given it an interpretation, but you may see some elements differently depending on whether you take them literally or symbolically.